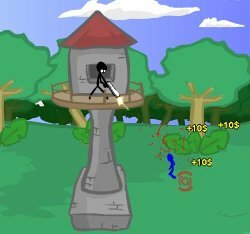 Stand alone atop an old tower and defend it for as long as you can using a variety of weapons. 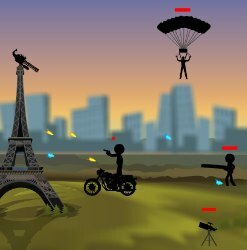 Between waves you can buy new weapons, repair your tower, and purchase aid from the air force which lets you call for strategic air strikes. 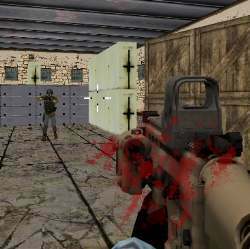 Aim using the MOUSE and LEFT CLICK to shoot. Press SPACE BAR to reload and Z to call an air strike. Use the number keys 1-7 to switch guns. Pause using the P key, toggle the graphics quality using the Q key, toggle screen shake using the S key, toggle the background using the B key, and mute the sound using the M key. 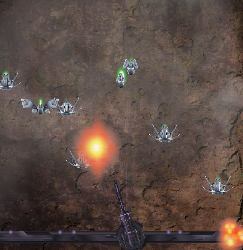 Click here to send Artillery Tower to your friends using your default email program.